Westerns - that movie genre has been around since moving pictures began! Books have been written that analyse the historical authenticity behind the films. Not only that - but the reasoning behind the choice of a film's accuracy. Westerns are often seen as based on historical facts. But producers, writers and directors were loose with facts to benefit the production. They also changed up things to excite the audience. Some films were based on the era alone. They involved the Old West life, and wild west drama and situations. In the early days of Westerns, real Cowboys were often used in films. Los Angeles was more a "cow town" than a metropolitan area then. The Santa Fe railway ended there, with cowboys delivering livestock to cattle cars. From surrounding Valley ranches they'd go into town for recreation. John Wayne - The ultimate, iconic, American Western cowboy. He lived on a ranch for a time as a youth. His "Duke" nickname came from a dog he had as a teen. His first movie set job was a summer gig as a prop guy. He met Director John Ford, who took a liking to him. Ford began giving him small Western roles. During that time he took the name "John Wayne." Finally Ford cast him in Stagecoach in 1939 - his career skyrocketed. Clint Eastwood - Grew up in California & Washington State. Clint was a poor student and indecisive in a career choice. Finally he decided on acting and secured small parts in B movies in the mid 1950s. Finally a 1959 decisive role playing Rowdy Yates on TV's Western, Rawhide. Then the movies in the early 60s, in spaghetti Westerns. He finally broke into U.S. versions in the late 60s. He's had blockbusters and awards. He's also gotten into directing. Gary Cooper - Gary first got into acting while in school. But growing up, he regularly worked around his Dad's Montana ranch. He's best known for his role as Will Kane in the 1952 Western High Noon. Sam Elliott - He started acting on the stage. In 1969 he broke into Westerns as a card-player in Butch Cassidy and the Sundance Kid. From there, more roles, including as Virgil Earp in the movie, Tombstone in 1993. Tom Mix - Born in Pennsylvania in 1880. Moving West, he later actually became a sheriff and marshal in Dewey OK in 1904. Two years after that he began appearing in Wild West Shows. That got him a job as an equine handler for Selig Pictures. Then he began acting for them. He also started writing and directing. In 1917 he switched to Fox Films. Probably the greatest silent era cowboy star. He became a good friend to Wyatt Earp. In 1940, at 60 years old, he died in a car accident in Florence AZ. Audie Murphy - A WWII hero from Texas, James Cagney mentored him in Hollywood after the war. He struggled, as he wasn't a natural talent. His Texas accent got him into Westerns. He was successful as a rancher and song-writer. His end came sadly and early, short of his 47th birthday, in a plane crash. Robert Duvall - Getting his start on the stage, he was successful in switching to films. In 1989 the TV mini-series Lonesome Dove attached his name to Westerns. Since he's been in memorable works such as Open Range. Prior works were quite varied. James Arness - Appearing in school plays, but with no career dreams. After being injured during WWII, he thought of going into radio. He did - but Hollywood attracted him. He went West and studied acting. He got some parts, but mainly became a surfer "beach bum" at San Onofre. One role attracted fan mail. That got his attention and he got serious. The turning point came in 1955: he was recommended for Matt Dillon in TV's Gunsmoke. An iconic, long-running series. It led to film roles later on. Terry Ike Clanton - A fourth generation cousin of Ike Clanton, the descendant you could call the instigator of the O.K. Corral Gunfight. Terry himself produced audio-books on the subject in 1993. They were Wyatt Earp Murdered My Cousin & OK Corral Gunfight Symposium. He's also a Cowboy Poet, a Fast-Draw, and an actor. Among others, he played Bob Weaver in the 2015 film Hardin.5 He claims to have found Ike Clanton's remains in Northern Arizona. He requested a reburial in Tombstone's Boothill for him - but was refused.6 There's other evidence about Ike Clanton's Gravesite. These old, vintage films were made quite some time ago. Still these Wild West Films are popular with many. They reflected the times of the era of production. The mores and beliefs of the time. They weren't historically accurate, but took their themes from history. The year 1903 brought the very first of the Wild West Movies. A silent film called The Great Train Robbery. And an instant success with the public! Edwin S. Porter directed. 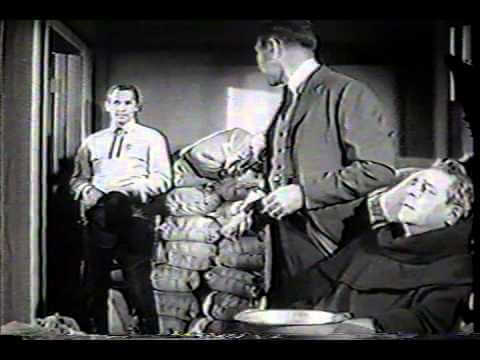 The star was Broncho Billy Anderson with three different roles. Its plot took only 12 minutes to completion! The Heart of Texas Ryan was Tom Mix's original silent movie. This 1917 film ran for 50 minutes. It featured cowboys and love rivalry. The same movie was reissued in 1923 as Single Shot Parker. The Covered Wagon was a Paramount Pictures release directed by James Cruze. It ran a little over one and a half hours. Based on a novel about families going from Kansas to Oregon. Released in 1923, a grand production for its time with a budget of $782,000. One of the top grossing silent films in the U.S. The Iron Horse, John Ford's first Western, released in 1924. Filmed in Northern Nevada, it told the story of the transcontinental railroad. With a tremendous cast. It reflected history: immigrants who worked the railroad, Native American conflicts, the U.S. Cavalry. The Tumbleweeds 1925 silent film subject was the Oklahoma land rush. William S. Hart was set on this film be made - to show the authentic Wild West! He starred in it, invested in it, and kept artistic control. Hart didn't make any money on it, and fought the studios on logistics. In 1938 he did a re-release in which he spoke an introduction. It was much more appreciated this time! In August 1926 Warner Brothers released the first "talking" film - Don Juan. In 1926 Fox Films purchased the newest invention. This process embedded sound in the film itself. It was named Movietone. In 1927, the romantic drama Sunrise, incorporated this technique for the first time. A stunt woman's death happened during production. While filming, her parachute failed to open. Leta Belle Wichart dropped 3000 feet as her husband watched. Movietone was now the only way to go. Theaters had to adjust for this new technique, add sound systems or suffer business failure. At first the studios didn't have it easy using this sound technique. Microphones picked up extraneous sounds, including camera noises. Studios used various creative, but uncomfortable techniques to overcome these situations. Finally new inventions eliminated the problems. Let's see which popular blockbusters used sound to captivate audiences who loved the Wild West! In Old Arizona - Opened in the 1929 holiday season. Released by American Studios, mostly filmed on location in the Southwest. The plot based on O. Henry's short story: Cisco Kid. A commercial success - audiences loved the on-site action and the sound! Law and Order - From 1932, probably the first film based on Tombstone AZ and the infamous gunfight. Starring John Huston in the role of Frame "St." Johnson. But watching it, you know he's Wyatt Earp. He has a brother along, who seems a compilation of probably both Virgil and Morgan, but is named Luther. A "Doc" looking character is called Deadwood. There's little true to fact in this Western, but it's amusing to watch. Only facts are the town of Tombstone, the names "Johnny Behind the Deuce" and the "OK Corral." Cast also features Harry Carey and Andy Devine. Stagecoach - John Ford's 1939 film that gave John Wayne his big movie break. It follows the journey of 9 people as they travel on a Stagecoach through the Wild West. They have an encounter with Geronimo and his warriors. The Gunfight at the O.K. Corral is Told! My Darling Clementine - Released in 1946. John Ford's version of the Gunfight at the O.K. Corral. Stars Henry Fonda as Wyatt Earp and Walter Brennan as Old Man Clanton. The Ox-Bow Incident - Based on a 1940 novel, a true classic 1943 film. It's preserved in the U.S. National Film Registry. Starring Henry Fonda, Harry Morgan and Anthony Quinn. Moral issues are involved. A posse hanging possible innocents -rushing to justice, etc. Red River - From 1948, starring John Wayne and Montgomery Clift. Based on a Saturday Evening Post serial Western called Blazing Guns on the Chisholm Trail. Many other known actors included Walter Brennan, Harry Carey, John Ireland and Harry Carey Jr. Tracing a cattle drive drama on the Chisholm Trail from Texas to Kansas. Winchester '73 - James Stewart stars in this 1950 movie. A search for a stolen rifle, starting in Dodge City, Kansas. High Noon - Gary Cooper, Lloyd Bridges and Grace Kelly in this 1952 production. A bit different than the standard Western, with some humorous quips. There is a standard plot of the villain seeking revenge on the hero. Shane - Out in 1953. With Alan Ladd, Jean Arthur, Van Heflin and Jack Palance. Based on Schaefer's 1949 novel. An unknown cowboy comes to range-land where homesteaders and cattlemen are at odds. A homesteader's son takes to this cowboy. The story follows the interactions. The Searchers - A 1956 John Wayne feature. Rancher versus Indians, who've kidnapped the star's relatives. Details his search for them, as he battles war traumas. The Unforgiven - John Huston directed this 1960 film that was ahead of its time. An all-star cast: Burt Lancaster, Audrey Hepburn, Audie Murphy, Charles Bickford and Lillian Gish. Deals with racism. Particularly related to Native Americans during Western settlement. The Man Who Shot Liberty Valence - All-star cast directed by John Ford, out in 1962. With John Wayne and James Stewart as the main characters. Told in flashbacks. Other names are Lee Marvin, Andy Devine, Vera Miles and John Carradine. Unforgiven - A 1992 Clint Eastwood blockbuster. A retired lawman, now farmer, who decides to take up the law again. Won a Best Picture Academy Award. Now in the National Film Registry, with an anti-violence leaning. The Last Outlaw - 1993 HBO movie. Two Confederate civil war veterans join forces to rob banks. They turn on each other when they disagree over a robbery gone wrong. Wyatt Earp - Released in 1994 as a biographical film - mostly based on fact. It tells the story of Wyatt from a youth until senior years with Josie. Little focus of his time in Tombstone AZ - that's just one life story. Kevin Costner is Wyatt. Outlaw Justice - This CBS 1998 made for TV movie features country music stars. Willie Nelson and Kris Kristofferson are the main characters: gunfighters in their senior years. They're gathering up former gang cowboys for vengeance. Others involved are Waylon Jennings and Travis Tritt. Reissued in 1999 as The Long Kill. Wild Wild West - 1999 steampunk influenced story. Two gunslingers hired to protect the president from an evil inventor. Based on a 1965 to 1969 television program. The movie stars Will Smith and Kevin Kline. Open Range - This 2003 financial and critical success, directed by Kevin Costner. He also has a leading role. Robert Duval takes the primary lead as a range cattle boss. He's hired to bring a herd from Montana to market. He has problems from a violent land baron. 3:10 to Yuma - Released in 2007, a remake of the 1957 movie and Leonard short story. Starring Russell Crowe and Christian Bale. A struggling rancher volunteers for a well-paying job. He ensures a convicted desperado gets on the train bound for Yuma Prison. True Grit - Remake of the John Wayne 1969 classic. This 2010 movie stars stars Jeff Bridges as the Marshal who's hired by an adolescent girl. Following their interactions, adventures and misadventures. Hell on Wheels - Not a movie, this mini-series was on AMC from 2011 to 2016. Deserves mention for the history it covers. A wonderful, exciting overview of the cross-country build of the American railroad system. American West subjects included the aftermath of the Civil War, the ire of Native Americans, problems and treatment of freed slaves, Irish immigrants in the West, and the Asian influx. Jane Got a Gun - Natalie Portman stars as a woman taking charge in this 2015 movie. She finds herself the target of a cowboy gang. She asks her ex-fiancé's help for protection. A sticky situation, since she's married someone else. Wild West Films are a genre that lives on. People still love to watch the vintage movies. People even watch bad, old B-level films, with folks comparing - figuring out which is the worst! Studios and independents continue to make Westerns. People love them - the modern ones, the classics, the campy versions! Think of Tombstone Arizona - that's where we live. A place where we see history in action every day. How many films have been made that base their plot on that notorious Gunfight at the O.K. Corral? I'll get it started, mentioning those above, and another I've named here. But what do you think? Let's get thinking of movies that are set in Tombstone AZ. Or those that involve that famous shootout - The Gunfight at the O.K. Corral. OK Corral Gunfight Westerns Can You Name? 1 Buscombe, E. (1988). The BFI companion to the Western. New York: Simon and Schusterpublishing/atheneum. 2 Moss, M.A. (2011). Raoul Walsh: The true adventures of Hollywood's legendary director. Lexington KY: The University Press of Kentucky. 3 Jameson, F. (1983). "Postmodernism and Consumer Society" in The anti-aesthetic: Essays on postmodern culture, p. 117 Port Townsend, WA: Bay Press. 10 Lewis, J. (2008). American film: A history. New York: W. W. Norton & Company. ISBN 978-0-393-97922-0.